(1) The Jesus Storybook Bible – excellent for catching the BIG story of GOD. (2) Thoughts to Make Your Heart Sing – great little devo thoughts to talk about together. (3) The Gospel Story Bible – more indepth than the Jesus Storybook Bible and a good follow up to it. By the way – you will want to read these first three over and over again for a few years. Very engaging and steeped in Truth. (5) Depending on what age you want to read weightier content with kids, because if you read them early you will definitely want to read them again around age 11-13, all 6 Narnia books are amazing with lots to discuss. The 3 books from Andrew Peterson’s The WingFeather Saga are, too! (6) Some short reads – The Giving Tree, The Three Trees, The Lord’s Prayer (Warren), Frog and Toad collection, Hermie collection. May we remember this as we grow kids with grace and send kids with gospel. 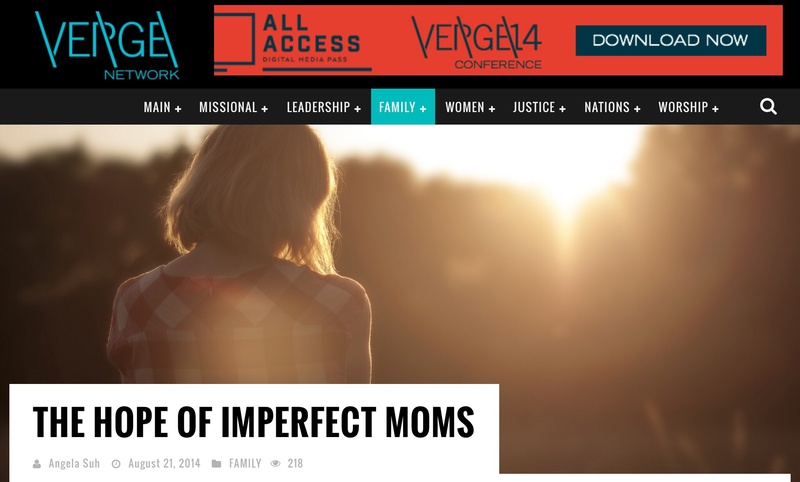 a very encouraging, uplifting, gospel-centered word for moms, thanks to Verge Network. Thanks again to Verge Network for the equipping resources they so frequently provide. Here is a great word for moms – encouraging, truthful,, uplifting, gracious, gospel-centered. Hope it encourages you. Share it with someone to whom you think it would be meaningful.